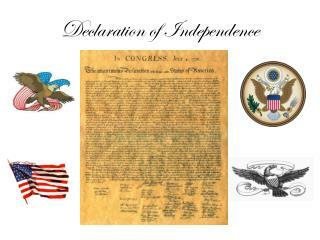 Declaration of Independence July 4, 1776 http://www.monticello.org/jefferson/biography.html The Declaration of Independence was drafted by Thomas Jefferson from June 11 th until June 28 th in Philadelphia, Pennsylvania. 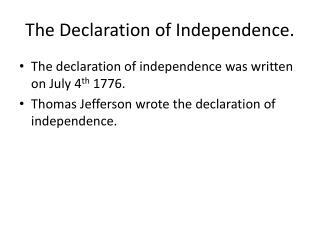 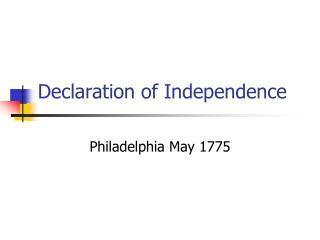 The Declaration of Independence was drafted by Thomas Jefferson from June 11th until June 28th in Philadelphia, Pennsylvania. 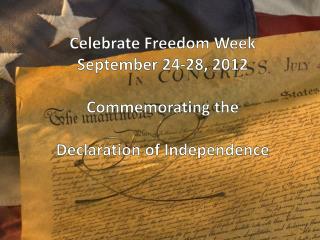 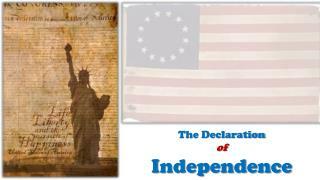 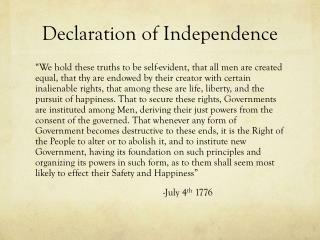 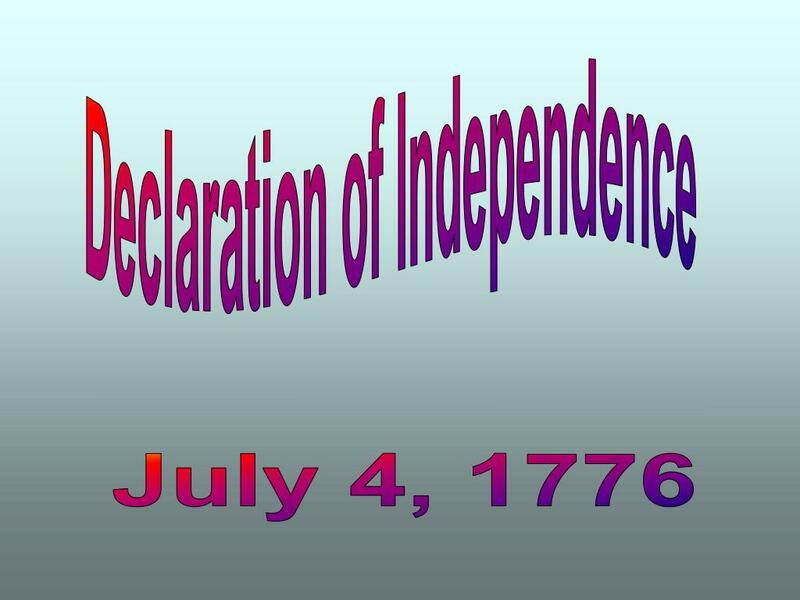 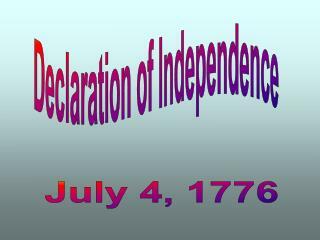 Declaration of Independence is America’s symbol of liberty. 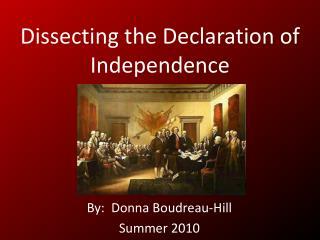 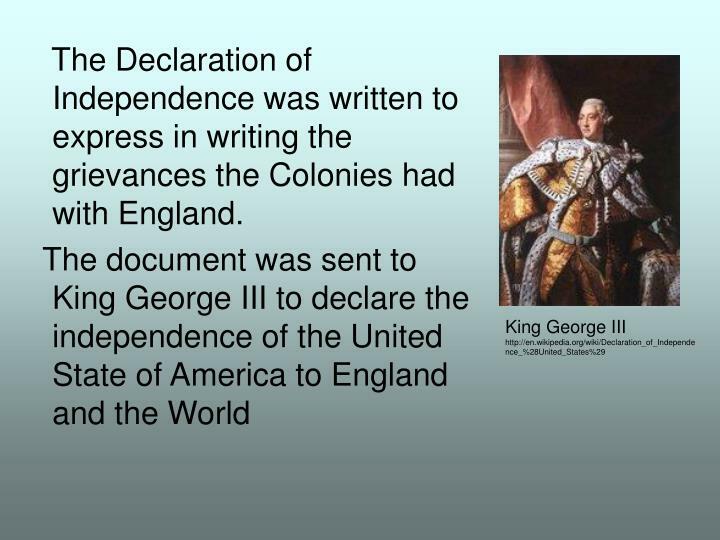 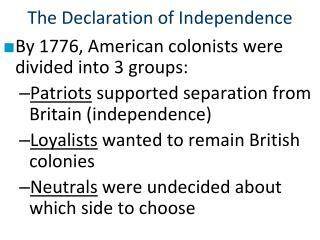 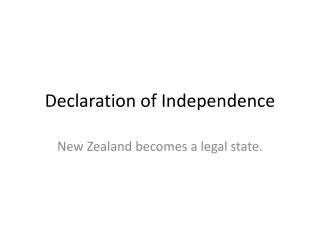 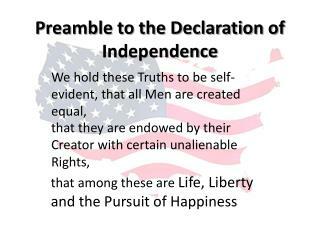 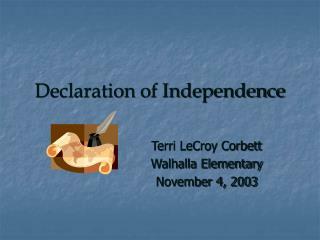 The Declaration of Independence was written to express in writing the grievances the Colonies had with England. 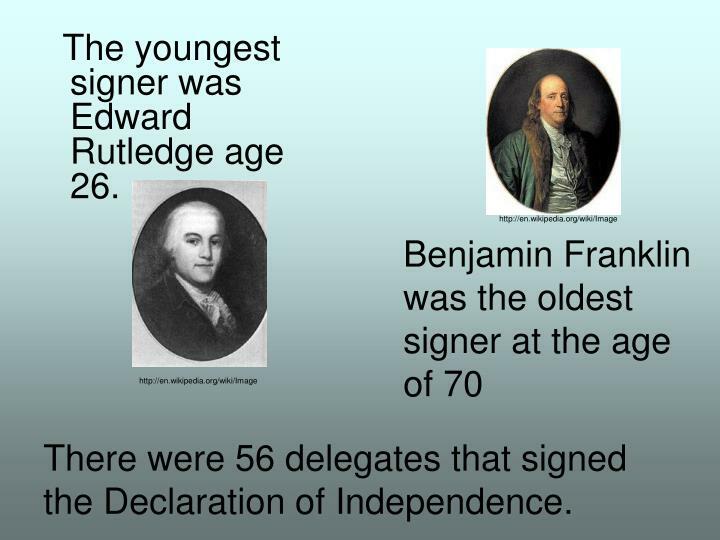 The youngest signer was Edward Rutledge age 26. 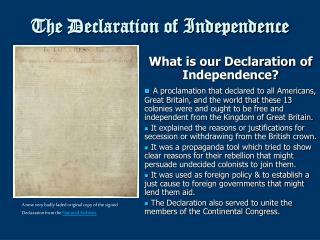 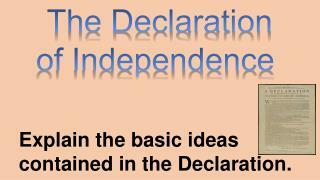 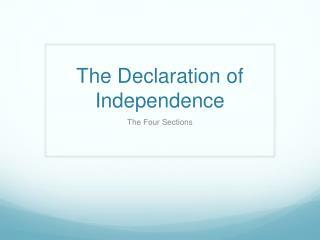 There were 56 delegates that signed the Declaration of Independence. 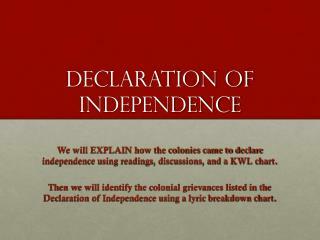 John Dunlap was given a copy of the Declaration with which he made between 150 and 200 copies. 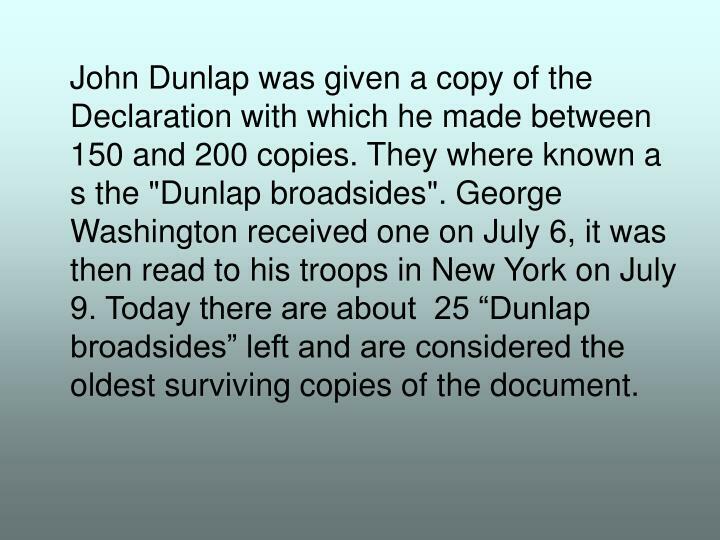 They where known a s the "Dunlap broadsides". 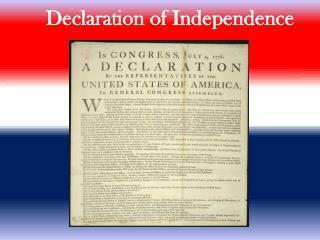 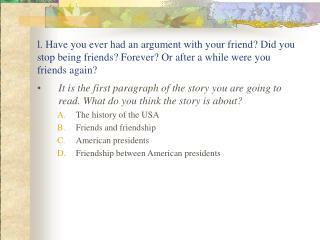 George Washington received one on July 6, it was then read to his troops in New York on July 9. 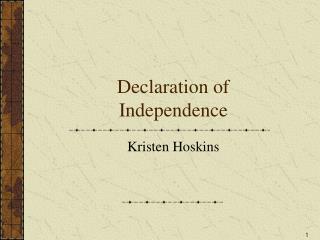 Today there are about 25 “Dunlap broadsides” left and are considered the oldest surviving copies of the document. 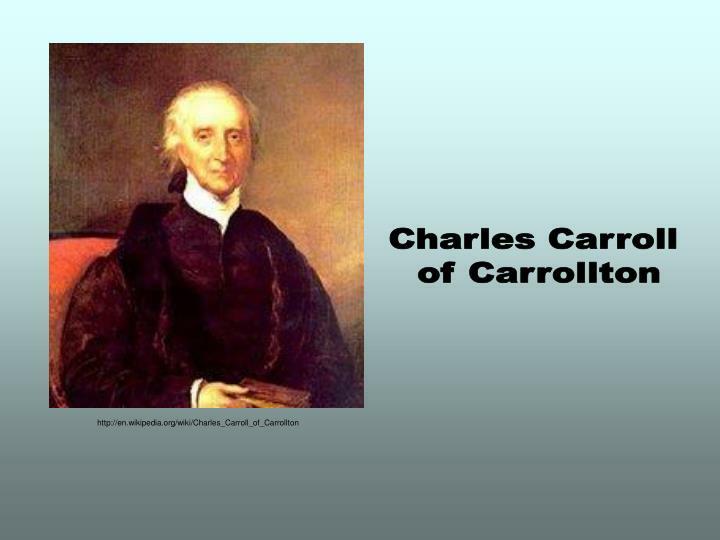 Charles Carroll of Carrollton was born on September 19,1737 in Annapolis, Maryland. 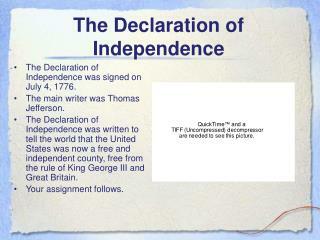 He was 39 when he signed the Declaration. 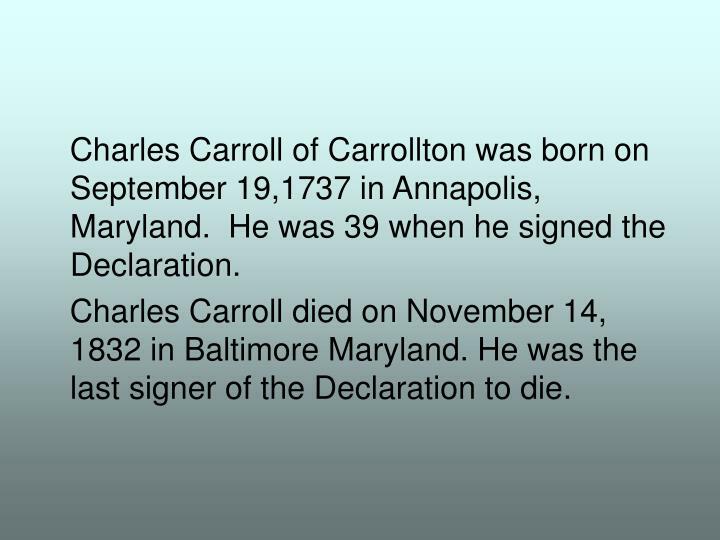 Charles Carroll died on November 14, 1832 in Baltimore Maryland. 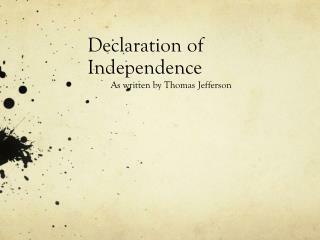 He was the last signer of the Declaration to die. 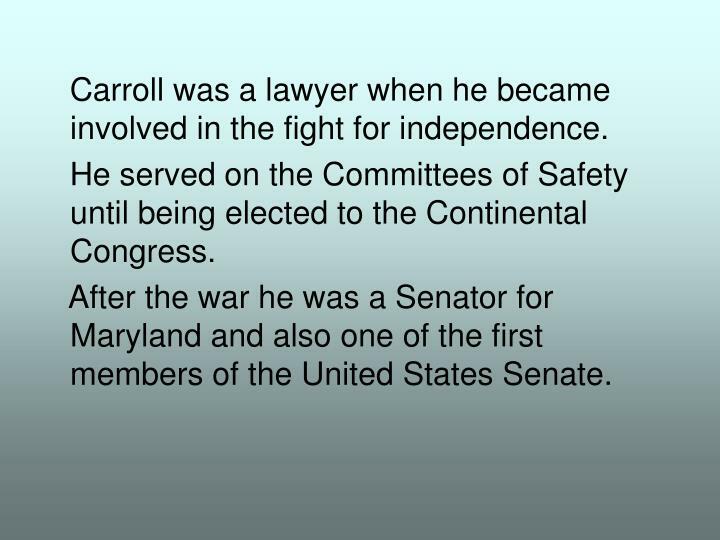 Carroll was a lawyer when he became involved in the fight for independence. 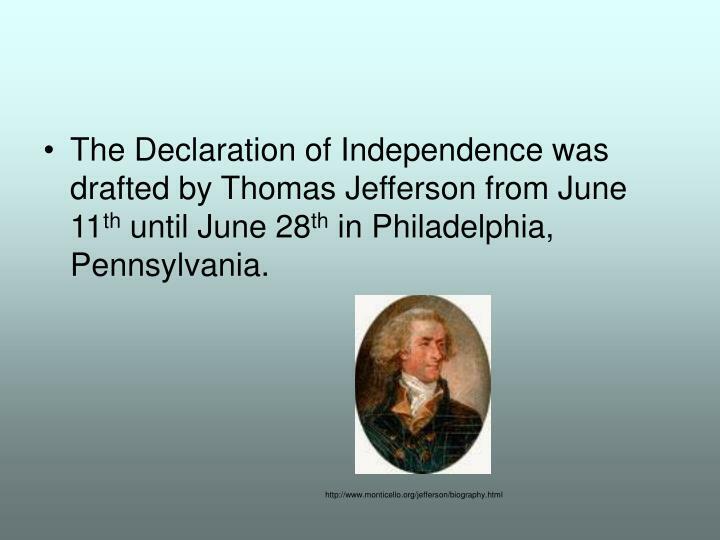 He served on the Committees of Safety until being elected to the Continental Congress. 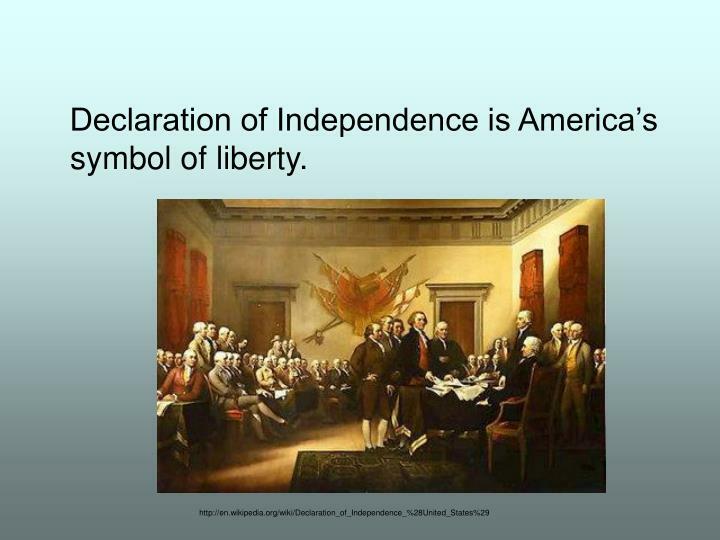 After the war he was a Senator for Maryland and also one of the first members of the United States Senate. 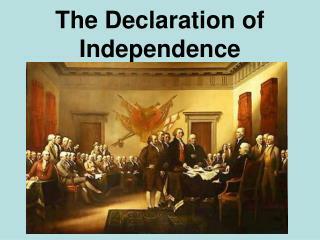 When Carroll signed the Declaration he was considered one of the richest men in America. 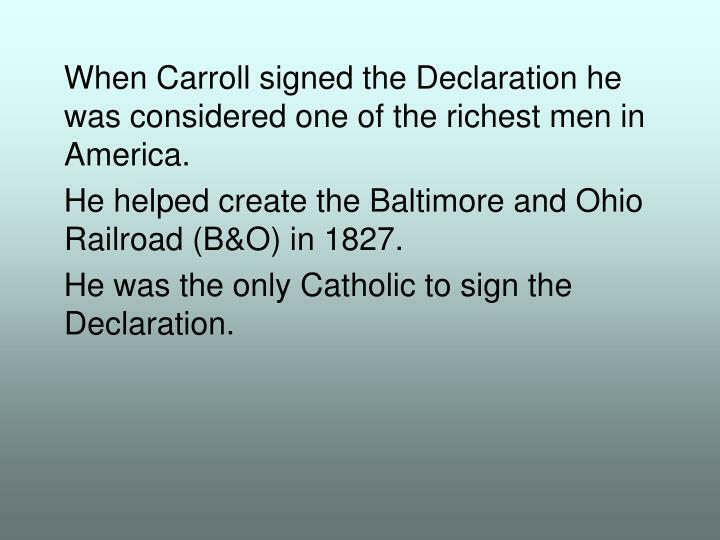 He helped create the Baltimore and Ohio Railroad (B&O) in 1827. 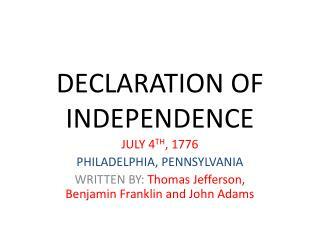 He was the only Catholic to sign the Declaration.